Become a living legend with this Collector's Edition guide from Prima Games! 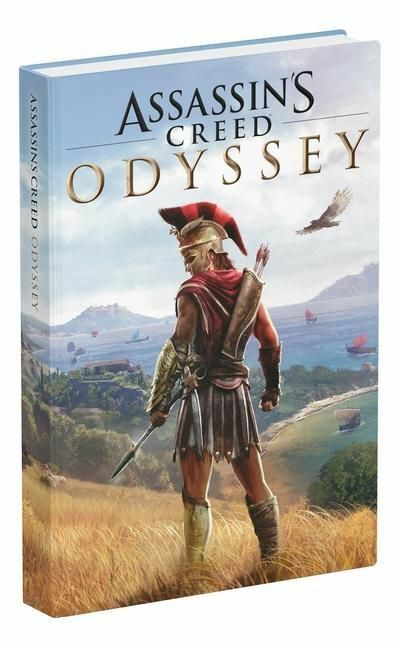 Live the epic odyssey of a legendary Greek Hero in Assassin's Creed Odyssey. Explore a world of untamed environments and cities at the peak of Greece's Golden Age. Charge into epic clashes, showing off your extraordinary warrior abilities during one of the deadliest conflicts of the time, the Peloponnesian War. Experience an entire ancient world that constantly evolves and reacts to your every decision as you journey to uncover the truth about your mysterious past. Assassin's Creed(R) Odyssey Map Poster: All of the major cities and key locations called out on an easy to reference poster. Much More! Special Ability upgrades, engraving information, playstyle tips, and more!